Hotel Jagjeet is located in Mirik. 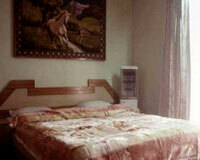 Hotel Jagjeet was one of the first hotels in Mirik with a modest beginning in the 1980s. The hotel is an epitome of warm hospitality and personalized service. The hotel offers lavish amenities and is a perfect holiday destination in this enchanting hill town. Hotel Jagjeet has the finest assortments of facilities to cater to all kinds of tourists coming to enjoy the beautiful hill station. Hotel Jagjeet offers 30 elegant rooms that are adorned with lavish interiors and modern hotel in-room facilities. Hotel Jagjeet has one restaurant offering Indian, Chinese and Continental cuisines in non-vegetarian and vegetarian options.